The Australia Day 2019 Honours List saw a record number of awards for outstanding service or achievement in the community. On that list was National Trust (NSW) property manager at Saumarez Homestead, Les Davis, and long-term Women's Committee and S.H. Ervin Gallery volunteer, Lois Rasmussen. Saumarez Homestead property manager, Les Davis, and National Trust (NSW) Women’s Committe member, Lois Rasmussen, both received Awards in this year’s Australia Day Honours. Les and Lois both received awards for their service to heritage protection. TripAdvisor Hall of Fame, 2018, as a result of Achieving TripAdvisor Award of Excellence for five consecutive years, 2014 -2018. Excellence in Social Enterprise, Regional Winner, Business Awards, 2017. Conservation Collection Award, National Trust Heritage Awards, 2016. Winner Engagement Program, IMAGinE Award, Museums and Galleries NSW, 2016. Outstanding Digital Innovation Award, Armidale Business Chamber, 2015. Armidale Business Chamber Award for Tourism, 2012. Outstanding Achievement Award, National Trust of Australia (NSW), 2012. Lois joined the National Trust in 1970 and was the founding secretary of the Friends of the S.H. Ervin Gallery. She has worked to support the gallery’s activities for 13 years. She joined the Women’s Committe in 1993 and has worked on numerous functions and activities during that time. Lois was made an Honorary Life member of the National Trust (NSW) in 2014 and is a Member of the Honours Committee. This Australia Day 1127 people were made companions, officers or members of the Order of Australia, or received the medal of the Order of Australia, in honour of their achievements – making it the largest list since the order was established in 1975. The governor-general and chancellor of the Order of Australia, Sir Peter Cosgrove, said the recipients had made an “enormous contribution to their local communities and to the entire nation”. 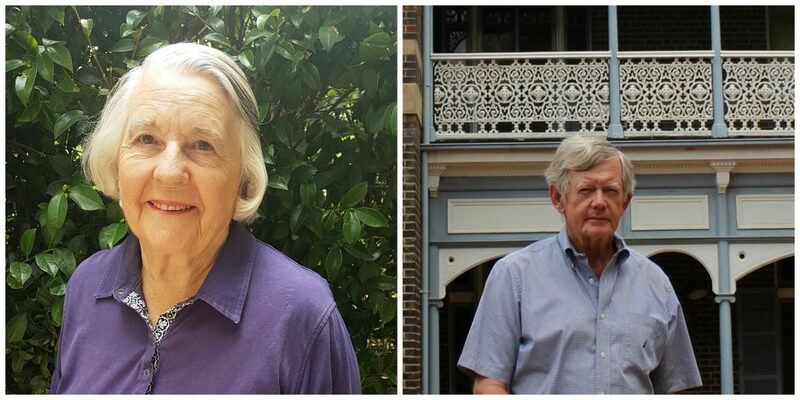 Congratulations to Les and Lois and thank you for your tireless work for the National Trust (NSW) and for helping to preserve our heritage for everyone.